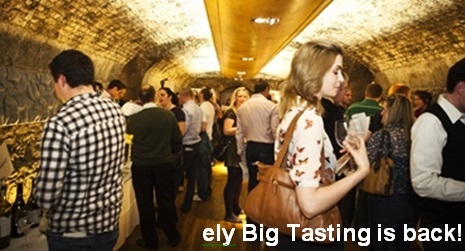 ely’s BIG wine tasting is a fantastic opportunity to taste wine from all corners of the globe. 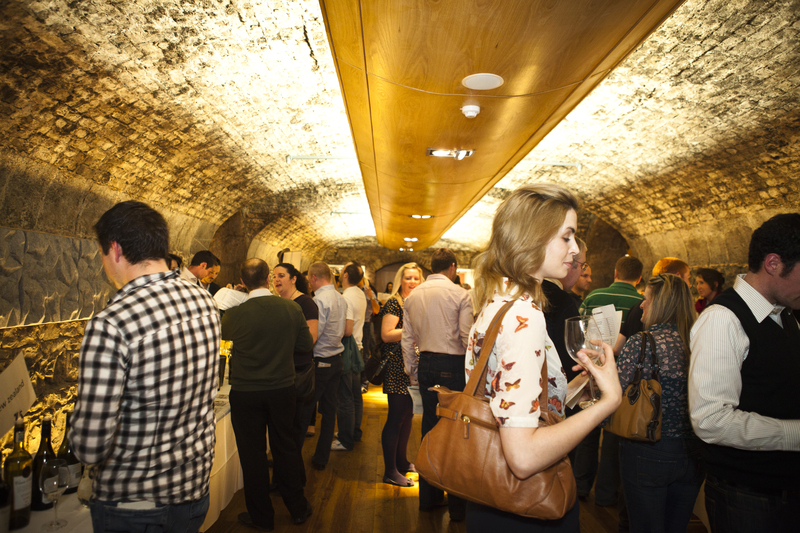 We open up over 80 of our favourite wines and have experts on hand to guide you through the tasting. Whether you want to explore the great wines of the world or simply enjoy more of the wines you love, our BIG wine tasting is the tasting for you. For more information please contact wineclub@elywinebar.com or call 01 678 7867. Read about our wine courses and our wine tasting evenings . Wine Tasting: Sauvignon Blanc’s of the World and many more! The Old World v New World tasting took place last night in ely winebar. 24 enthusiasts arrived at 7pm delighted for the excuse to learn and, ahem, drink delicious wines on a Monday evening! Start as you mean to go on was the motto as Michele Jordan introduced the white wines of the evening. First up we looked at a grape native to Sardinia and Corsica but grown across Tuscany called Vermentino. Poggiotondo Bianco, made by the very talented winemaker Alberto Antonini is bright and zippy with delicate floral hints. The perfect summer wine! We compared this to it’s Aussie counterpart a Vermentino grown in McLaren Vale. McLaren Vale is tempered by the sea breezes and produces wines with real finesse. Mitolo Vermentino is no exception. At 10% alcohol and light in body it is extremely refreshing, as a drink in its own right and as a wine style coming from the hot climes of Australia. Round two was a comparison of Sauvignon Blanc from Australia, New Zealand and France. Everyone at the tasting had tried many a Sauvignon Blanc but couldn’t hide their delight at comparing the 3 key styles. Sancerre is an appellation in Loire, France that produces the archetypal Sauvignon Blanc: lean and focused with great minerality and green fruit whilst the Delta Vineyards Sauvignon Blanc from Marlborough jumped out of the glass with its tropical fruit aromas and brilliant intensity. Australia’s interpretation was easily the winner of the evening. Made in the Adelaide Hills by Shaw and Smith, it was definitely one of the stars of the evening. Restrained and elegant with a full creamy texture and appley fruit aromatics. It sat perfectly in between France and New Zealand. Unusual for an Australia to retain all the subtle aromatics of Sauvignon Blanc and the tasters couldn’t help but be enamoured by the whole package. The red flights included Pinot Noir from Australia, France and New Zealand and an extremely interesting comparison of Sangiovese made in its home town of Chianti, Italy and also in Heathcote, Australia. Interestingly there was no clear favourite in either comparison. Domaine Lafarge ‘s Volnay was the lightest in body with savoury aromas and dark cherries, New Zealand’s offering was Delta’s Hatters Hill Pinot. I have tasted this wine many a time and last night it was truly delicious. The 2008 vintage has really come out of its shell with yummy fresh summer fruit and undertones of spice. Yummy YUMMY. The last in the flight was Shaw and Smith’s Pinot Noir from the Adelaide Hills. Denser in colour and driven more by sweet fruit than savoury spice it is the most full-bodied of the three. Most people love the taste of Chianti without ever knowing what the magic ingredient is that makes it so delicious – the grape Sangiovese! Widely grown across the Tuscan hills it produces wines with cherry and raspberry aromas, herbaceous tones, refreshing acidity and ripe tannins. Good Chianti is a wonderful thing and we experienced two delicious interpretations last night. Poggiotondo Chianti Superiore and Greenstone Sangiovese. My preference is for the richer, full bodied Aussie number which had aged well with soft fine tannins and lots of fruit whist other liked the softer and more delicate Italian one. Just a quick update on the next session of wine tastings! April 27th – Barossa Valley v Rhone Valley – Shiraz on 2 continents. Stockists for the wines are as follows! Pieropan and Mount Diffculty share their plans for the Christmas day festivities. The Pieropan’s will be celebrating the birth of Anna, Andrea’s new baby girl and the first bambina in the Pieropan family for 100 years. Welcome Anna. Not just any coffee and grappa. Andrea says the coffee prepared by Nino is a ‘process’, beginning with the correct warming of the machine and the cups, then a mix of three different beans. And the Grappa is a special distillation of the vinacce (skins) from their Recioto di Soave. More winemaker dinners to follow! A few people have been wondering about the line-up for our New Zealand wine night. Do not fear! It is not a Sauvignon Blanc and fish fest! The main course will be a delicious rump of lamb with some great examples of Pinot Noir. ely’s New Zealand winemaker dinner featuring Kevin Judd and Matt Thomson. Please note: the dishes are subject to change but will most definitely be a fish starter, a lamb main followed by a cheeseboard course. The do’s and don’ts for Christmas Day Wines. Over the last couple of weeks, people have been asking us about the best wines to have on Christmas day. ely winebar has put together a few simple suggestions to help you along. Tip number 1 ~ Have a sherry! Cast aside all the prejudices you may have against Sherry and revisit this absolutely delicious glass of wine. It’s the perfect wine to sip whilst you are slaving away over the dinner. Sherry labels can be unnecessarily difficult so we have listed 3 Sherry styles to make things easy. Fino: is the classic sherry that is very pale in colour and quite light on the palate, it has lemony and almond notes, and is dry. This is a delicious aperitif. Fino is like any other white wine and will go off if you don’t drink it! Keep in the fridge for 4 days maximum. Pedro Ximenez: at the opposite end of the spectrum to Fino is this lusciously sweet wine. It is a prune colour with aromas of dried fruit, figs and candied orange peel. Serve it slightly chilled or even poured over a scoop of ice-cream. Absolutely delicious and very moreish, a small glass of PX is the perfect end to a festive dinner. Amontillado: This is an absolutely fantastic wine and completely different to anything you’ll have ever tried. Real Amontillado is aged Fino or Manzanilla, it is terracotta in colour and tastes of toasted almonds, caramel and dried citrus fruit. It can be anything from bone dry to sweet. Tip number 2 ~ Don’t drink your good wines on Christmas day! It is easy to justify drinking ‘very good’ wines on Christmas day. However, the chances are that you’ll have already had a concoction of drinks whilst cooking the dinner so below are a few options for both reds and whites that should definitely fit the bill. Southern Rhone for spicy reds. Wines from Southern Rhone have big juicy red fruit with layers of spice, ripe tannins and good acidity. The main grapes in Southern Rhone reds are Grenache, Syrah, Mourvedre and Cinsault. Grenache, the principal grape of Chateauneuf du Pape, is arguably the most important grape of the region and adds cherry fruit, white pepper and the soft tannins. Syrah has more dense aromatics and a darker colour, Mourvedre has fresh, herbaceous aromas, blackberries with hints of leather as it ages and the Cinsault produces sweet, small berries that add to the vibrant fruit character of the wine. Southern Rhone reds include the appellations of Chateauneuf du Pape, Gigondas, Vacqueyras and Cotes du Rhone Villages such as Cairanne. 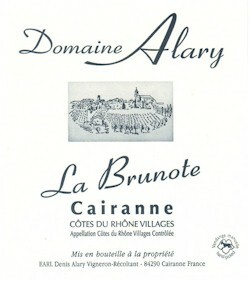 ely’ s choice is any of the Domaine Alary wines that you can get your hands on. And if you can’t? Ask you local wine merchant. They always have great suggestions! If you prefer Aussie style reds which have more up front fruit character, why not try a ‘GSM’, Grenache, Syrah, Mourvedre, from Barossa Valley or McLaren Vale. The Aussies do this blend extremely well and deservedly earn the accolade of being Rhone Rangers. Northern Italy for elegant whites. It is very easy to settle for a trusty Chablis or Sancerre, but why not try something fresh and exciting. Soave from the Veronese hills used to be known for prioritising quantity over quality, but we have found this beautiful wine from a small, family run winery in the heart of Soave town. Pieropan make a few cuvees and all are impressive. 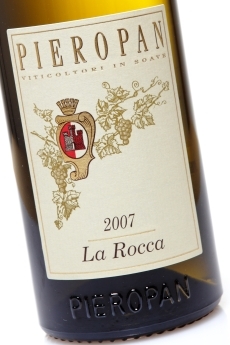 Made from a blend of Garganega and Trebbiano, Soave produces aromatic wines with great acidity. The wine is brimming with pears, peaches, citrus notes and hints of almonds. It is the perfect alternative if you like zesty fresh wines with a weighty mouthfeel. If you prefer a bit more body in your whites why not try a Pinot Gris from New Zealand. 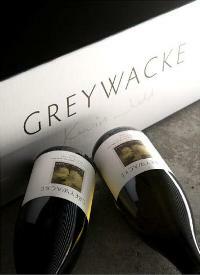 Pinot Gris, the same grape as Pinot Grigio, has evolved into it’s own distinct style in New Zealand. Most people will be very familiar with the pronounced tropical fruit flavours of the Marlborough Sauvignon Blanc, but we think that a Pinot Gris would be a great white to have with you Christmas dinner because they tend to have been aged on their lees which adds a creamy texture to the pear, melon, and lemon zest aromas in the wine. Our current favourite is Mount Difficulty Pinot Gris from Central Otago, Southern New Zealand. 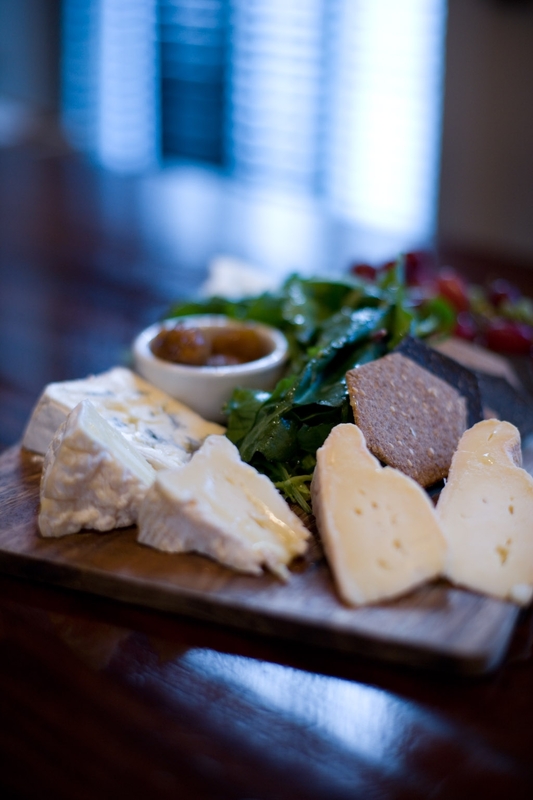 Tip number 3 ~ Drink something truly delicious and worth savouring on the St. Stephens Day! By the 26th October, all the fuss is over and it’s time to relax and enjoy the break. Why not have a glass of something that you have been looking forward to as much as you have been looking forward to a well earned break. Why not unwind with a with a rich oaky Chardonnay: my choice is something very special, Shaw and Smith’s M3 Chardonnay from Adelaide Hills in Australia or Craighall Chardonnay from Ata Rangi in New Zealand. ely winebar is always blown away by the elegance and intensity that these wines display and proudly have them on our list. Merry Christmas and drink wisely (and sensibly! ).